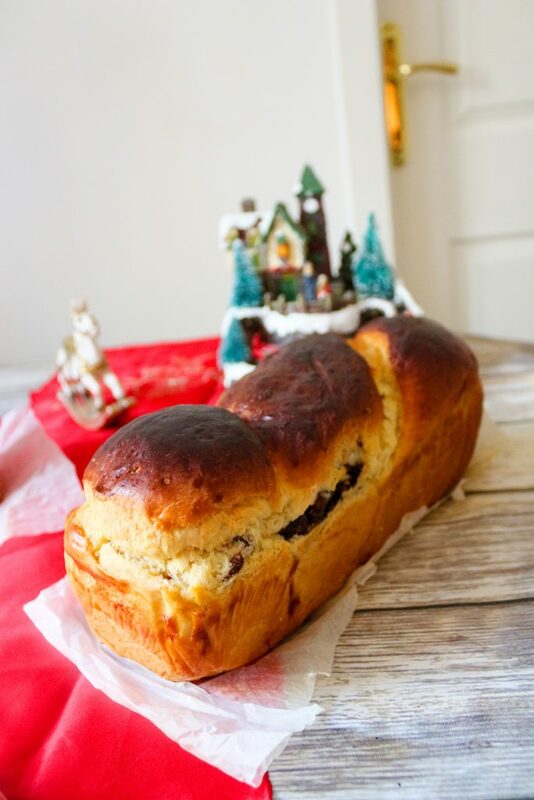 It’s that time of the year when people all around the country are baking this delicious dessert which is traditionally served during Christmas or Easter – it’s called cozonac, and it’s one of the most delicious brioche-like sweet breads that you’ll ever taste! 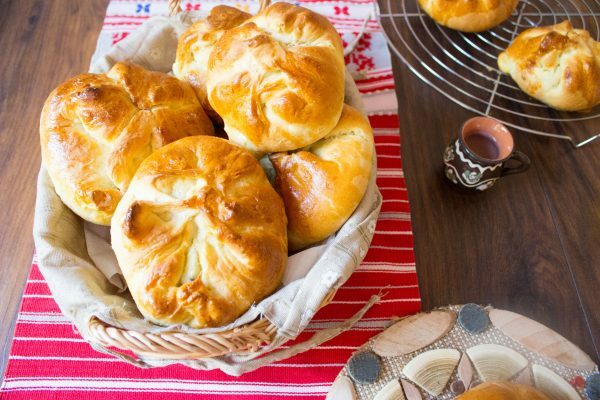 Cozonac is a sweet bread which contains milk, yeast, eggs, sugar, butter, oil and salt, which are mixed together and allowed to rise before baking. 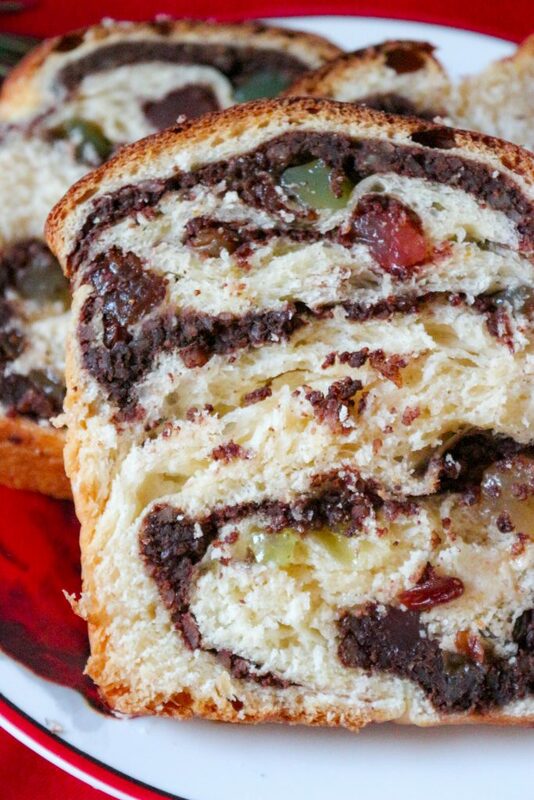 Depending on the region, Romanian cozonac is filled with raisins, Turkish delight, nuts, poppy seed cream, and can be braided in 2 or even 3. 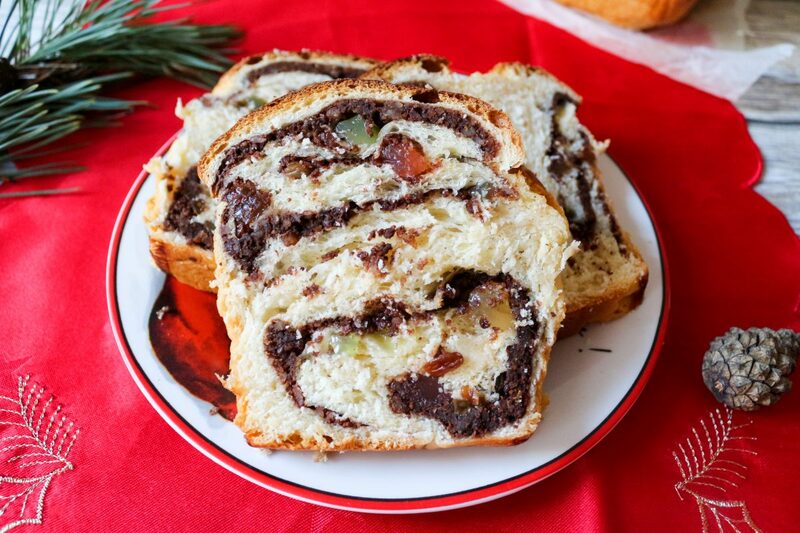 A Romanian Christmas table is simply not complete without this delicious dessert – a hand-kneaded sweet bread with a chopped nuts and cocoa cream, which can be enhanced with raisins and Turkish delight bits. This is how I always make it, I like to add as much ingredients in the filling as I can. 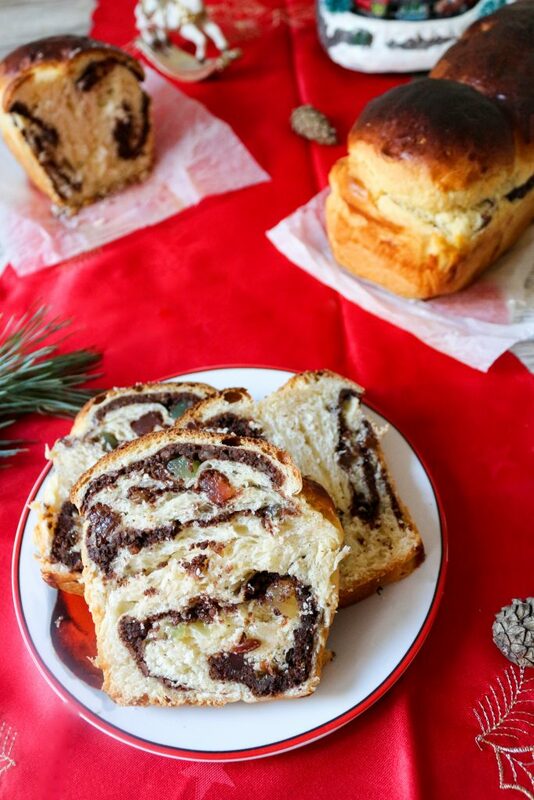 You can buy Romanian cozonac in any pastry shop and bakery during this time of the year, but I must say that nothing compares to a homemade, straight out of the oven, hot cozonac. The flavor of sweet dough perfumed with lemon and orange zest is just divine, this is the real aroma of Christmas for me. 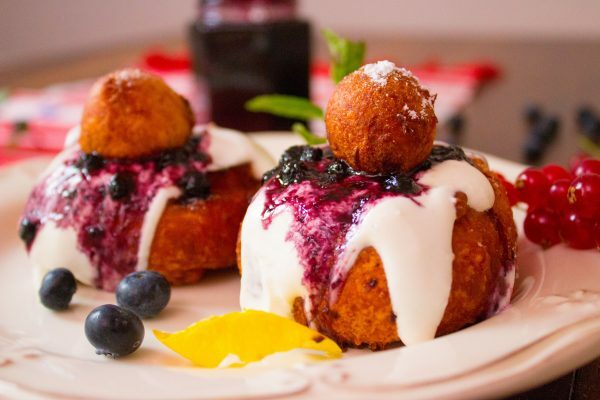 There is a bit of work to do when you start making this dessert, but I promise it’s worth the effort. 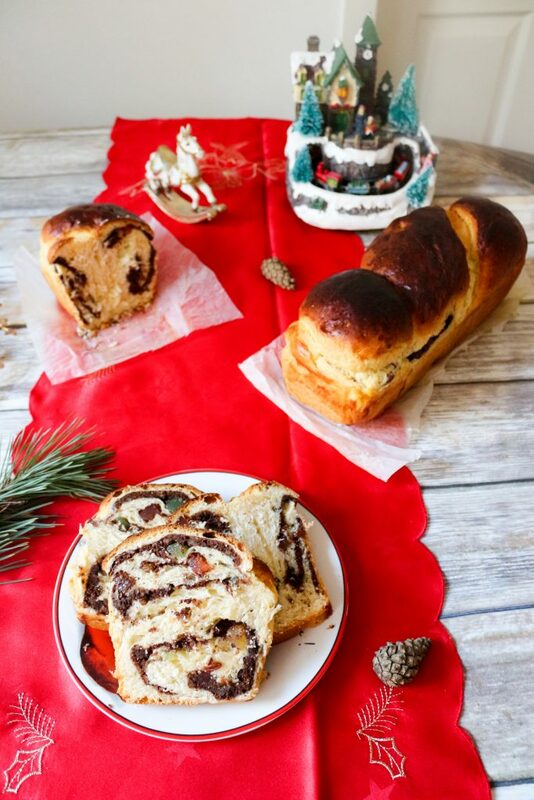 Making cozonac is one of my favorite Christmas activities, it’s a pleasure to knead the dough while listening to Christmas carols. 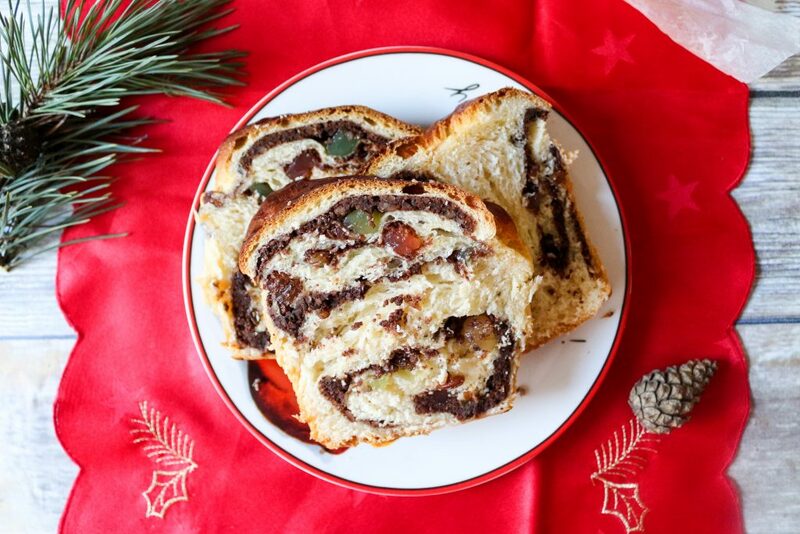 [EN] So, there are a few things that you’ll have to consider when you start making this Romanian Christmas sweet bread. When you warm up the milk for the dough, make sure it’s not hot. Hot milk will destroy the yeast. Take your time to knead the dough for at least half an hour. You can use a mixing machine, but I always do it by hand. The filling should be approximately 20% the sweet bread. Too much filling could affect the rising phase of the dough. Let the cozonac cool completely before you take it out of the cake pan (even so, I always eat one while it’s warm, simply because it’s amazing that way). Keep the cozonac in a cool place, covered with a cloth or wrapped in paper. It’s just as good even after five days. Sift the flour 3 times. This is an important step, so don’t skip it. Warm the milk along with the sugar and the vanilla bean seeds, adding the entire vanilla bean to the milk as well. The milk should just be warm when you try it with your finger, not hot! Use a fork to dissolve the fresh yeast with 3-4 tablespoons of the warm milk. In a bowl, where you previously put the flour, make a whole in the center and add the yeast mixture. Sprinkle a bit of flour on top and leave it like that for 10 to 15 minutes, until the yeast makes bubbles. Mix the egg yolks with the lemon zest, orange zest and salt. Put the egg yolk mixture in the bowl with the flour, but not directly over the yeast. The salt in the mixture can kill the yeast. Add the vanilla-flavored milk and start mixing with a spoon. Mix the butter and oil in a separate, small bowl. 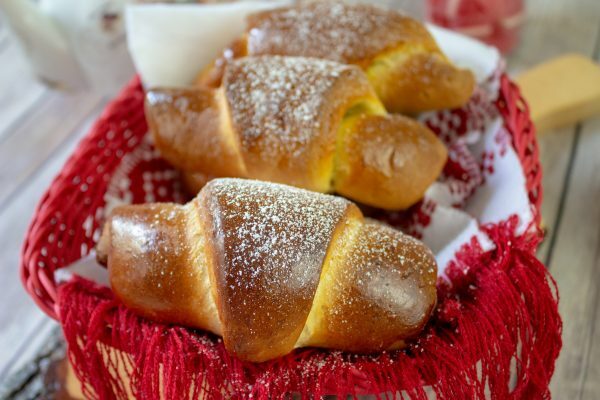 When all the ingredients are well-combined, start kneading the dough, while continuously dipping your hands in the butter and oil mixture and gradually adding it to the dough. You have to knead for at least half an hour. After half an hour, cover the bowl with cling film and leave it in a warm place to rise, for 1 ½ hours. Meanwhile, make the filling. Beat the egg whites with the sugar and add the finely chopped walnuts and the cocoa. After the dough has risen, split it into 4 equal balls. Take each ball and spread it with your hands in a rectangular form on an oiled working surface. Spread ¼ of the mixture over each rolled dough ball, then spread some raisins and Turkish delight bits, and then roll it up. Repeat with the three remaining dough balls. Now, put two rolls over each other in an X form, and start braiding from the middle toward the ends. Place the sweet breads in two buttered loaf pans topped with baking paper. Leave them to rise until doubled in size. Place the loaves in the oven and bake for 40-50 minutes. Make sure you don’t open the oven during the first 20 minutes. After this time, you can cover them anytime with aluminium foil, so they don’t become too brown. Check if they’re done by inserting a toothpick into the center – if it comes out clean, the sweet breads are ready. It took 50 minutes for mine to be ready, but it depends on your oven. When the sweet breads are ready, let them cool completely in their loaf pans, then cut them into slices and serve.